Our customers are road transporters and forwarders, that means the customers are the owners and holders of transport units commonly used in combined transport. Therefore we organize for them the combined transport by railway only on the basis from terminal to terminal, while the whole transport from door to door is fully in response of road transporters and speditions. Competitive advantages of the road tranport are different from the ones of the railway transport. While combining both systems we can make use of all the advantages and offer you always the best solution. The result is relieble, fast and environmentally- sustainable transport. Combined road-rail transport will save you up to a third of costs in comparison with direct carriage by road. For a lot of road hauliers it has been a better way to carry heavy goods long distances for a number of years. The quantity and regularity of consignments transported is important. The higher it is, the greater the savings that can be made. It is, however, not only an environmentally-friendly way of carrying units. The combination of transport by rail, which we offer, is a markedly more environmentally-friendly option. This is because the trains are pulled by electric locomotives. One train can carry up to 36 trailers, so there is a significant saving of diesel and a relief for the environment - a reduction in the carbon footprint. Are you interested in combined transport services? Write to us. Thanks to favourable framework conditions in neighbouring Austria and Germany, combined long-distance transport is cheaper than direct road haulage. Legislative benefits - there is an exemption from the ban on travel on public holidays and weekends for road collection and distribution runs for combined transport. With combined transport you save on motorway tolls. There is also an exemption from road tax in accordance with the number of trips a unit makes. Higher speed and reliability of consignment delivery - direct trains leave at fixed times, regardless of their load. 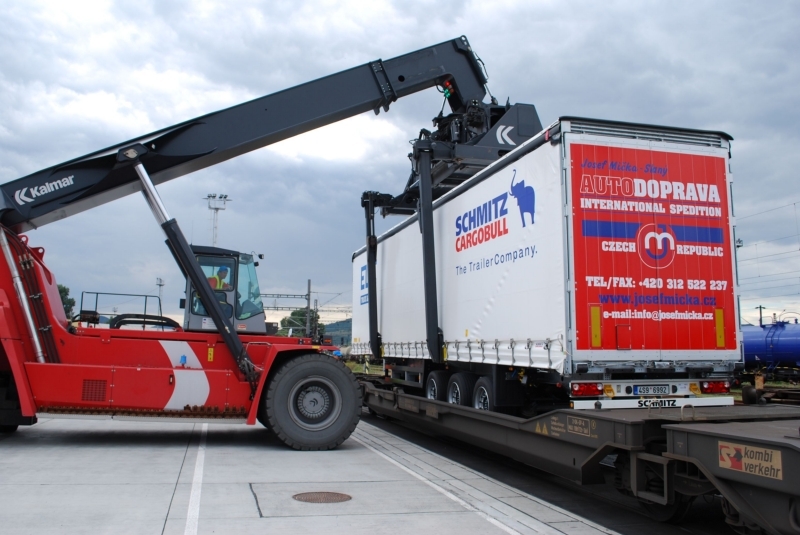 In the Czech Republic we use four combined transport transhipment points (Lovosice, Ostrava, Brno and Přerov) and in other countries we use another almost 40 transhipment points. 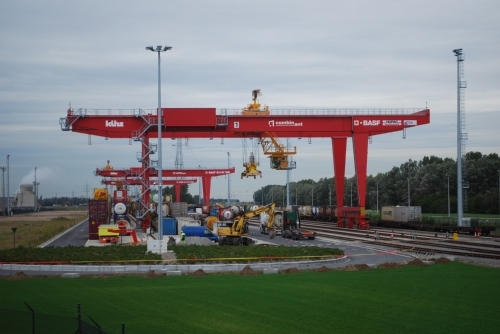 The transport of containers, swap bodies and road trailers is organised through the transhipment points.